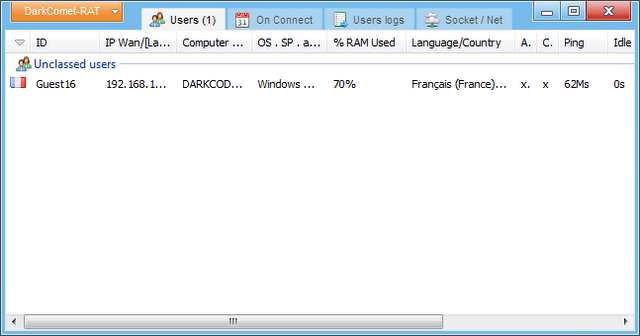 This new version of the famous darkcomet RAT , a remote management tool created by DarkCoderSc . DarkComet is also considered as the most stable RAT around and it is even regarded more stable than some professional ones. [GUI ] Now in layout settings you can change the main windows GUI if you don't like the default one. [FIX ][HOT] A very huge bug was fixed in the connection thread, this was affecting random users and explain why they can't get connections. [FIX ] If my server isn't able to be join, then the SOCKET ERROR will be mute and it will simply not update the noip.